One of the greatest challenges of a young child’s life is the transition from preschool into an elementary school environment. The summer marks the end of an era and the beginning of their relationship with learning. Many aspects of kindergarten are new for your child. The school is bigger, there is more time sitting at a table, more focus on letters and numbers, more time involved with handwriting, more time listening and a lot more structure. The days are longer and there is often more independence required. To prepare kids for their new challenges in Kindergarten, Child Success Center offers Kindergarten Enrichment Camp every summer. 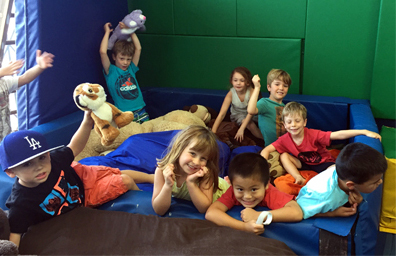 The camp not only teaches and prepares children for kindergarten, but they have a blast, too! Presented as a 3-week curriculum – (if campers are not available for the full 3 weeks, individual weeks are available) campers – in a small group – will spend over 20 hours a week involved in activities designed to help them develop the skills needed to excel in kindergarten. The program helps children develop confidence when taking the first steps toward reading, writing, attending to a new routine, developing social-emotional skills, being mindful of themselves and others and making new friends. CSC’s huge gymnasium is turned into a fun learning camp with swings, a trampoline, a climbing wall and monkey bars to take children on an adventure while building up their kindergarten skills. Cost: $580.00 per week. Early bird special honored until March 1 – $530.00. Enrollment: Call the Child Success Center – 310.899.9597. >Is Kindergarten Enrichment Camp a Fit For Your Child? Was K-CAMP able to meet your family goal? What did your child learn at K-CAMP? What do you think was the most effective part of K-CAMP?